StartsidaWorld War IIIChina Attacks India In 2 Weeks – Ignites WW III?….. 2017-08-08….. In recent weeks the conflict at the Doklam plateau shows no signs of calming down and a few days ago Global Times, a communist controlled news outlet, reported that China will take limited military action against India within 2 weeks unless they retreat. Everyone should remember that the Chinese started building a road on June 18th in a disputed, no-go territory of the Doklam plateau without asking Bhutan or India. The Indians hence reacted on behalf of the Bhutanese government and stopped the road construction. Can India retreat and is it right for India to retreat? India has no easy position since the Doklam plateau is central to defending their northern provinces and China will essentially be able to strangle the logistics of the Indian army to its northern provinces where Pakistan is hungry for more land in alliance with the Chinese. Since the conflict started the Chinese have used an aggressive rhetoric and belittled the Indian army and government. They are more arrogant than ever. In fact we believe that this conflict might be the perfect way of creating WW III – the ultimate goal of all globalists. Why do they want war? It´s obvious that without war they can´t scare the masses into believing in a world government. The second part is that China wants to play the lead role in the world government and then they want to teach the Indians a lesson so that they don´t try to have fantasies about getting the high positions in the world government. Remember, this is an international crime syndicate of people all over the world that not only fight for world government but also internally vie for a good position. So it might be that a country like India would like to stand up to the Chinese before it´s too late and they are run over completely. If the Indians back off now they will also lose face and be even more bullied in the future. Our prediction is that China won’t be able to achieve its goals against India in this conflict, simply because they are controlled by the most terrible gangster regime in world history and they were in the wrong when they started their construction of the road without negotiation. 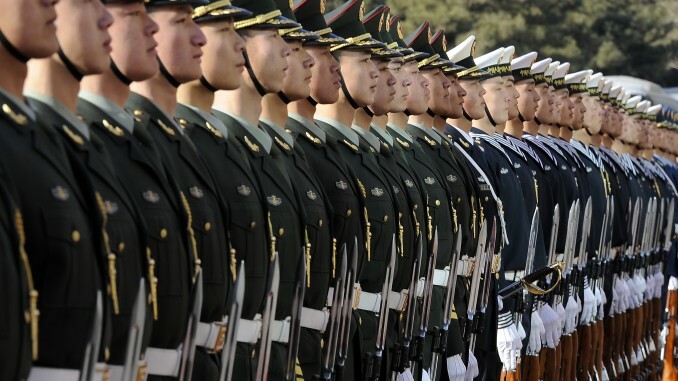 The Chinese might boast about their fire power but in the end the result of a war is controlled by higher powers and by whom has the higher moral standard. In this aspect the Chinese can´t defeat any country. As we have mentioned earlier the 1622 prophecy described by Theodor Beykirch in 1849 mentions the greatest massacre of our civilization in September, followed by miracles in October. Will it come true in 2017? The outlook is more and more grim for mankind when looking at recent political events but good people will survive according to prophecies.